Angul: The employees and the Community living in the vicinity of Jindal Steel & Power at Angul observed the 13th Punyatithi of Shri Om Prakash Jindal , the Founder of OP Jindal Group in a serene ambiance followed by Volunteer Blood Donatation Camp and providing Food for the Under Privileged and holy chantings. The Chairman of Jindal Steel and Power Ltd. (JSPL) Sri. Naveen Jindal and Smt Shallu Jindal paid floral tribute today early in the morning to Shri Om Prakash Jindal Ji , respectfully called as Bauji by one and all . 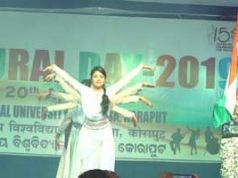 Thousands of employees, workers and people from the periphery villages joined the Akhanda Ram Charita Manas recital programme and paid their tribute to the architect and great visionary Bauji. Angul Unit Head and Executive Director (I/c) Mr. Atul Misra, EVP-Steel Making Mr. Damodar Mittal, VP- CSR&R Mr. S.K. Sharma, VP-HR&ES Mr. Alok Malhota and various other HoDs of different departments were also paid their homage to Sri O.P. Jindal. 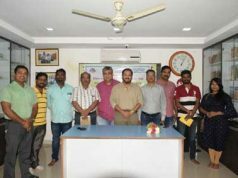 Mr. Naveen Jindal inaugurated the voluntary blood donation camp organized with the help of District Blood Bank Angul and greeted the volunteer blood donors for serving the society through this noble way. Mr. Jindal appreciated the efforts of Sri Subodh Mishra of Angul for donating 119 blood units in his career . A total 69 Number of blood units were collected and deposited in District Blood Bank. Remembering his father and the founder of O.P. Jindal group Mr. Naveen Jindal said, “Bauji is my role model and my source of inspiration. He possessed with the spirit of entrepreneurial adventure and engineering acumen. He helped India to take her place in the league of industrialized nations. The nationalist in him believed unwaveringly that the fruits of his business success would enrich the country he cared deeply about”. “He set an example of manufacturing indigenous products with ingenuity and integrity’” Mr Jindal added. District Blood Bank Officer Dr. Biswajeet Samal along with Coordinator Mr. Prafulla Kumar Das; Chief Medical Officer (I/c) of JSPL Dr. Sanjeev Kumar Dwivedi and employees from CSR, HR and Medical of JSPL coordinated the blood donation camp and programme. 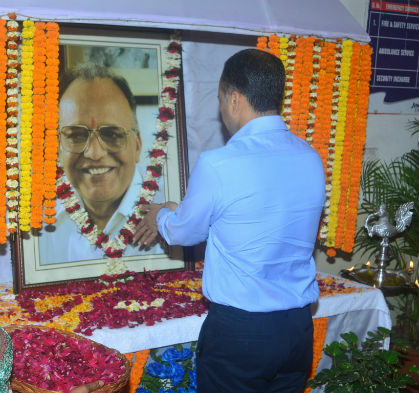 In Bhubaneswar Office employees of JSPL and JSW together paid their homage to the Founder of the Group Sri OP Jindal . Walking in the Memory lane, Many senior employees of both the Companies retrospected their personal moments with Sri OP Jindal , the Bauji , loaded with affection and inspiration . Study materials along with Food were served to under privileged Children. 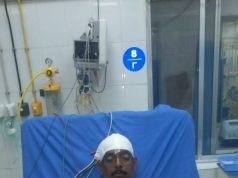 Shri O.P. Jindal is not only known as a business leader and industrialist of India, but also he is famous for his social work and dedication to sustainable social development. He was serving as a Minister of Power in the Government of Haryana at the time of his demise. He was also a Member of Parliament to the 11th Lok Sabha and he has been conferred with the prestigious ‘Life Time Achievement Award’ for his outstanding contribution to the Indian Steel Industry.